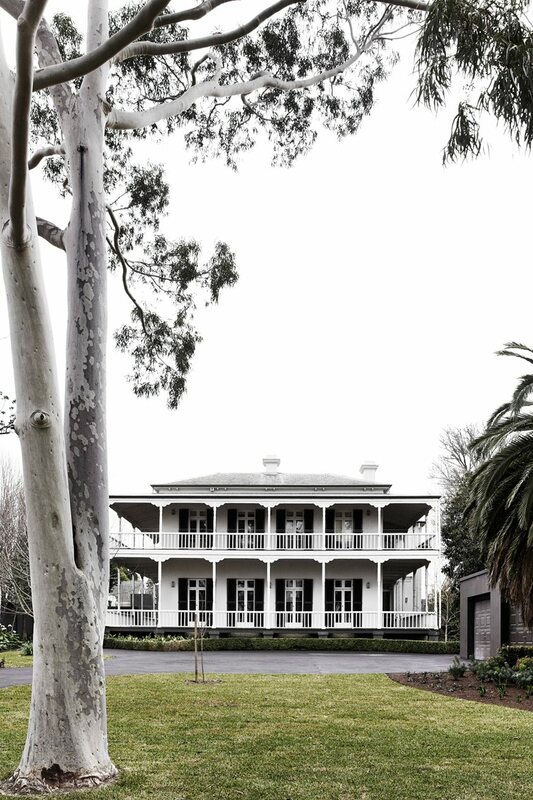 This magnificent house is located in Hawthorn, Victoria and was constructed in 1857. 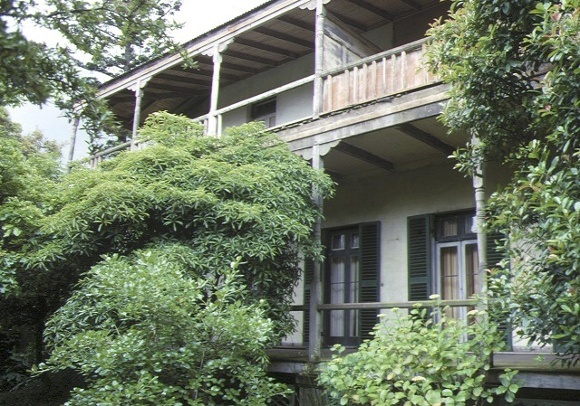 John Gill designed the first section of the house later known as Grace Park House which was built for the Irish immigrant, publican and Hawthorn land owner Michael Lynch. It was extended in the early 1870s. Subsequent alterations and extensions occurred in the early 1890s after the house had been converted to the Grace Park Ladies College. The house was designed in the Georgian style, is stucco and comprises two storeys. 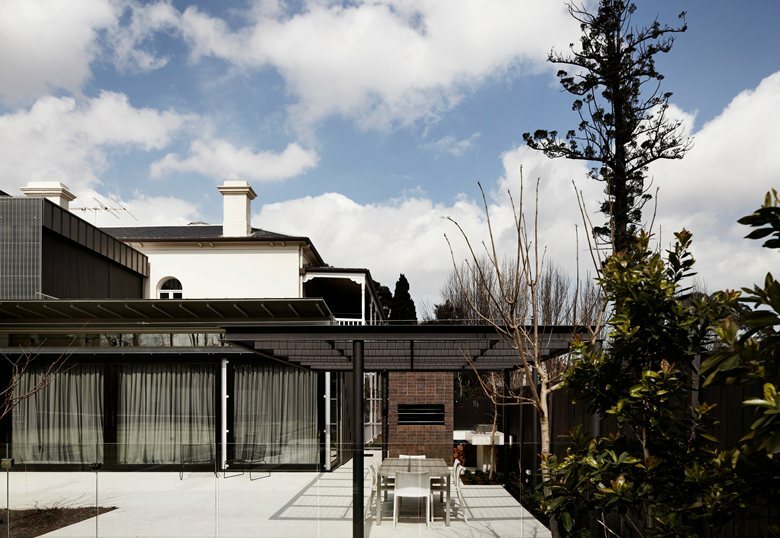 It features shuttered french doors opening onto a double-storeyed timber-framed verandah. 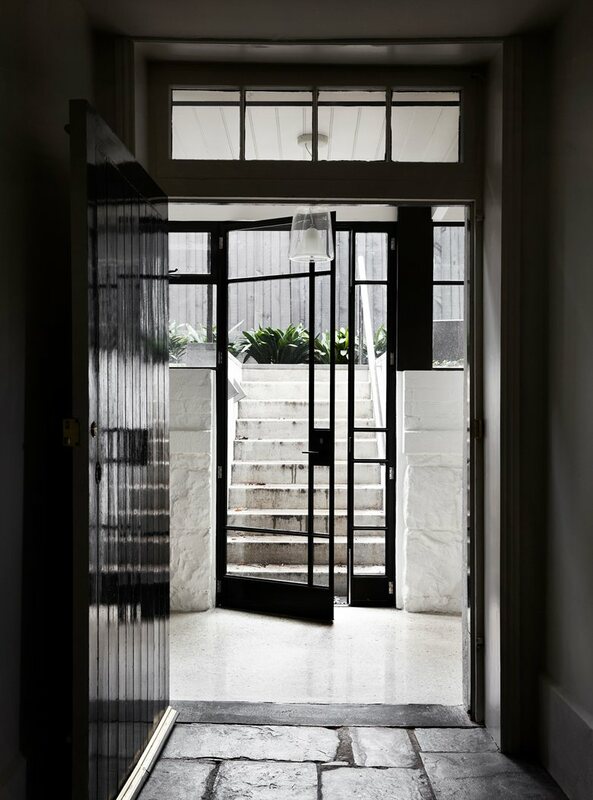 The house is listed with Heritage Victoria as having historic and architectural significance to the State. The key criterion was to allow more light into what was originally, not unusually for this style, quite a dark home. Overall the house need to be adapted to twenty first century living for a family of six with four boys. This involved opening up at the rear, creating a connection with the garden. In order to respect the importance of the original design, intervention needed to be effective but subtle. 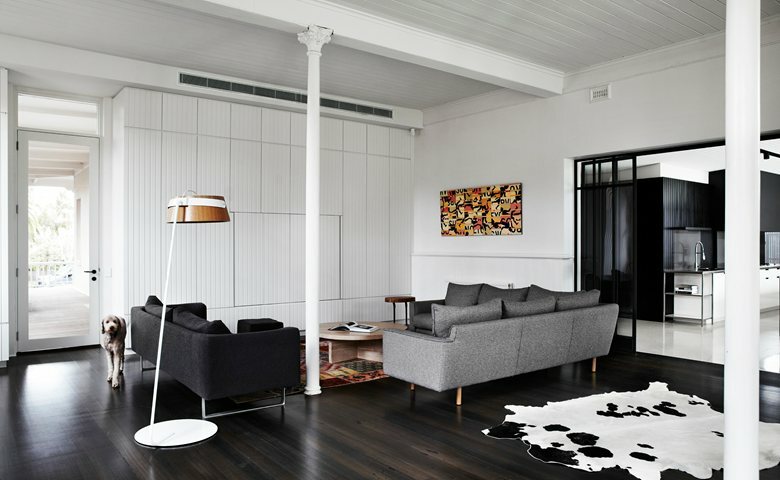 The colour palette is mainly black and white. A focus on contrast such as colour, light and shade, matt and matt and shiny materials such as timber and steel, allowed them to successfully combine the old and the new. Materials they used included galvanised steel for the exposed structure, polished concrete and steel painted with black anthracite on industrial structures. The stone paving of the basement, where the servant bells remain in place, opens onto the new polished concrete slab. Skylights have been used to highlight the textured bluestone wall. The restored house has been nominated for a number of awards. The success of the project, according to the architect, stems from a very strong collaboration between themselves, the owner and the builder, emphasising the importance of good communication and the inclusion of all stakeholders in the journey.